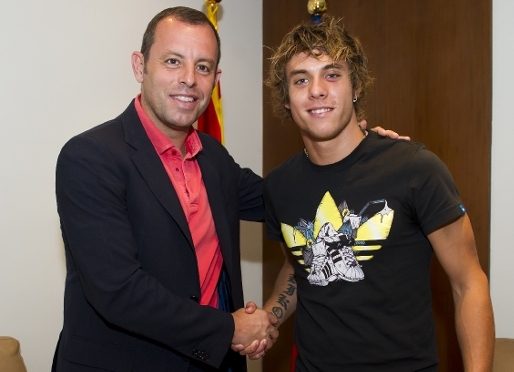 Kiko Femenia after signing his contract. . Wallpaper and background images in the एफ सी बार्सिलोना club tagged: fc barcelona kiko femenia contract sandro rosell. This एफ सी बार्सिलोना photo might contain बिजनेस सूट. Mona Lisa is a प्रशंसक of Barça!